KABUL, Afghanistan — A bungled attempt by the Afghan government to cultivate a shadowy alliance with Islamist militants escalated into the latest flash point in the troubled relationship between Afghanistan and the United States, according to new accounts by officials from both countries. The disrupted plan involved Afghan intelligence trying to work with the Pakistan Taliban, allies of Al Qaeda, in order to find a trump card in a baroque regional power game that is likely to intensify after the American withdrawal next year, the officials said. And what started the hard feelings was that the Americans caught them red-handed. Tipped off to the plan, United States Special Forces raided an Afghan convoy that was ushering a senior Pakistan Taliban militant, Latif Mehsud, to Kabul for secret talks last month, and now have Mr. Mehsud in custody. Publicly, the Afghan government has described Mr. Mehsud as an insurgent peace emissary. But according to Afghan officials, the ultimate plan was to take revenge on the Pakistani military. In the murk of intrigue and paranoia that dominates the relationship between Pakistan and Afghanistan, the Pakistanis have long had the upper hand. A favorite complaint of Afghan officials is how Pakistani military intelligence has sheltered and nurtured the Taliban and supported their insurgency against the Afghan government. Now, not content to be merely the target of a proxy war, the Afghan government decided to recruit proxies of its own by seeking to aid the Pakistan Taliban in their fight against Pakistan’s security forces, according to Afghan officials. And they were beginning to make progress over the past year, they say, before the American raid exposed them. Although Afghan anger over the raid has been an open issue since it was revealed in news reports this month, it is only now that the full purpose of the Afghan operation that prompted the raid has been detailed by American and Afghan officials. Those officials spoke on the condition of anonymity to discuss secret intelligence matters. The thinking, Afghan officials said, was that the Afghans could later gain an advantage in negotiations with the Pakistani government by offering to back off their support for the militants. Aiding the Pakistan Taliban was an “opportunity to bring peace on our terms,” one senior Afghan security official said. From the American standpoint, though, it has exposed a new level of futility in the war effort here. Not only has Washington failed to persuade Pakistan to stop using militants to destabilize its neighbors — a major American foreign policy goal in recent years — but its failure also appears to have persuaded Afghanistan to try the same thing. Worse still, for American officials, was the Afghans’ choice of militant allies. Though the Afghan and Pakistan Taliban are operationally distinct, they are loosely aligned; the Pakistani insurgents, for instance, pledge allegiance to Mullah Muhammad Omar, the founder of the Afghan Taliban. In the estimation of American officials, support for one invariably bleeds into assistance for the other. At the same time, the Pakistan Taliban shares its base in the tribal areas of Pakistan with a number of Islamist groups that have tried to mount attacks in the West, including the remnants of Al Qaeda’s original leadership. The Pakistan Taliban have also showed a willingness to strike beyond the region, unlike the Afghan Taliban. Mr. Mehsud, for instance, is suspected of having a role in the foiled plot to detonate a car bomb in Times Square in 2010, American officials said. American officials said they were also worried that the Afghan actions would give credibility to Pakistani complaints that enemies based in Afghanistan presented them with a threat equivalent to the Afghan insurgency. No one in the Western intelligence community believes the comparison to be anywhere close, given that the Afghan Taliban insurgency, with help from its Pakistani allies, has killed tens of thousands of people in Afghanistan in the past 12 years, including more than 2,000 Americans. “What were they thinking?” said one American official of his Afghan counterparts. Both Afghan and American officials said the Afghan plan to aid the Pakistan Taliban was in its preliminary stages when Mr. Mehsud was seized by American forces. But they agree on little else. American officials interviewed about the raid say they saved Afghanistan from folly. Pakistan’s use of militants has left that country torn by violence with group after group spinning out of the government’s control — the Pakistan Taliban being Exhibit A. The Americans also said it was not clear how much help the Afghans could actually provide the Pakistan Taliban. In the Afghan telling, the theft of their prized intelligence asset is an egregious example of American bullying, and President Hamid Karzai remains furious about it. Afghan officials assert that Mr. Mehsud’s continued detention could still derail a pact to keep American troops here beyond next year, despite the progress toward reaching a deal made during talks this month between Mr. Karzai and Secretary of State John Kerry. Mr. Faizi did not elaborate on the nature of the cooperation. But two other Afghan officials, when asked why they were willing to discuss such a potentially provocative plot, said Mr. Mehsud’s detention by the United States had already been exposed — it was firstreported by The Washington Post — ruining his value as an intelligence asset and sinking their plan. As a consolation, the Afghan officials said they now wanted Pakistan to know that Afghanistan could play dirty as well. One said they would try again if given the opportunity. Afghan officials dismissed American admonishments about the dangers of working with militants as the kind of condescension they have come to expect. No one in Mr. Karzai’s government was naïve enough to believe they could turn the Pakistan Taliban into a reliable proxy, said a former Afghan official familiar with the matter. Another Afghan official said the logic of the region dictated the need for unseemly alliances. The United States, in fact, has relied on some of Afghanistan’s most notorious warlords to fight the insurgency here, the official tartly noted. Afghan officials said those people included American military officers and C.I.A. operatives. Frustrated by their limited ability to hit Taliban havens in Pakistan, some Americans suggested that the Afghans find a way to do it, they claimed. So Afghanistan’s intelligence agency believed it had a green light from the United States when it was approached by Mr. Mehsud sometime in the past year. After months of negotiations with Mr. Mehsud, the intelligence agency struck an initial deal, two Afghan officials said: Afghanistan would not harass Pakistan Taliban fighters sheltering in mountains along the border if the insurgents did not attack Afghan forces. Still, the Afghans decided to keep their relationship with Mr. Mehsud a secret and did not tell American officials. An American official briefed on Mr. Mehsud’s case said there was “absolutely no way” any American would encourage the Afghans to work with the Pakistan Taliban or do anything that could result in attacks on Pakistani forces or civilians, the official said. Uttar Pradesh Minister Azam Khan on Monday hit out at Congress Vice President Rahul Gandhi for his remarks that Pakistani agencies were in touch with some Muzaffarnagar riot victims, asking him to either prove his claim or withdraw the statement. “Rahul Gandhi is speaking the language of RSS. He should either provide evidence for his allegations or immediately withdraw his statement,” Azam said at a gathering, which was also addressed by Chief Minister Akhilesh Yadav. In a public rally at Indore in poll-bound Madhya Pradesh on October, Rahul had said that intelligence agencies in Pakistan were approaching some victims of Muzaffarnagar riots. He had said he was told by an intelligence official that intelligence agencies of Pakistan had established contact with a group of 10-15 Muslim youngsters, who had lost their kin in the riots. The Uttar Pradesh Police had said it had no information about the claim but would verify it. Azam also attacked the RSS, alleging that the organisation was trying to fan hatred against Muslim community by spreading false propaganda. Admitting that there were several incidents of communal flare-up in the state during SP rule, Azam, however, said “people should understand” that fascist forces, which cannot digest existence of a secular government, were behind them. “There were very few communal flare ups during regimes led by the BJP and also the BSP, because the fascist forces were not interested in destabilising these governments,” he added. Azam said the people, however, understand that the country can never be run successfully by a political party which does not accept the concept of religious pluralism. Azam also alleged that the Congress was not serious regarding the restoration of the minority character for AMU. “If they were serious, they would have introduced a Bill in Parliament in this regard,” he said. In today’s environment of hypocrisy, backstabbing, snooping and state sponsored secret surveillance and destabilization you have to be paranoid. In fact paranoia may be good as a policy considering the blatant exploitation of our vulnerabilities. From this angle one must carefully examine seemingly disconnected events that collectively have a negative effect on our country. If you believe such occurrences to be coincidences then you probably also believe in the tooth fairy and Santa Claus. Consider the following. Pakistan’s Prime Minister is on his first official visit to the US. His schedule includes meetings with President Obama, Vice President Biden, Secretaries Kerry and Hagel, the National Security Adviser Rice and the CIA Director Brennan — and he intends raising issues like Drone strikes, Aafia Siddiqui, terrorism and ‘trade not aid’ etc. The media builds up hype on the PM’s agenda and raises expectations. The US public stance is subdued but on another level much happens to create difficulties for Pakistan. Our former ambassador in the US decides to time the release of his book “Magnificent Delusions” with the PM’s visit and a juicy quote from the book hits the headlines — ‘my country supports terrorism’. Then this former ambassador decides to give a series of interviews, including one to Indian TV, to promote his book and more juicy tidbits follow to the amazement and delight of Indians and Americans. Then a writer whose specialty is Taliban and Afghanistan decides to raise an issue that the US has not touched on — Pakistan’s tactical nuclear weapons — and indicates that these are a reality and not something that Pakistan is testing and considering to meet the growing threat to its security from the East. As if on cue the Line of Control in Kashmir is activated by India in spite of an agreed cease fire and India starts bleating about infiltration from the Pakistani side completely disregarding the fact that Pakistan is least likely to undertake such a venture when its PM is talking of peace and visiting Washington. India’s statement that the attackers left behind weapons with Pakistani markings was pathetic especially when its own former Army Chief had publicly admitted sponsoring and funding covert activities inside Pakistan to destabilize it. The US media suddenly discovers documents that reveal the Pakistan government’s approval and connivance in the US Drone strikes in Pakistan. There are also not so veiled references to the Pakistan’s senior military leadership hobnobbing with US senior military leaders while the CIA and ISI worked at cross purposes — a memo from the Foreign Office to its Ambassador in Washington to restrict visa issues because Pakistan was being swamped with CIA agents has also been conveniently leaked!! All coincidences made in heaven you could say. The media — or at least one channel — is making startling disclosures and one such item is a statement that the US President announced a payment of millions of dollars to a particular TV channel in Pakistan to ‘promote’ its image. The media is also using analysts and government functionaries to assess the success, if any, of the PM’s visit to the US. Predictably the picture they are painting is not pretty. How can it be — with our former Ambassador to the US singing like a canary for his supper? Actually going by the past Pakistan should be worried about what the US and its supporters will discuss with Pakistan after the US has moved billions of dollars equipment out of Afghanistan through Pakistan and all or most of its forces have exited from there. When we partnered the US against the Soviet Union in Afghanistan all our problems started when the US objectives had been achieved. Even the F 16’s paid for by Pakistan were stopped and the equipment cleared for shipment and at ports was with held. So the silence by the US on many issues is ominous especially because of the Pakistani ‘assets’ that are available to the US. Pakistan’s political leaders need to get their act together to meet present and future challenges. This is not the time for political in-fighting within parties, anti-government movements, media wars, speculations on the civil-military relationship, past misdeeds and ambiguous vibes on those who seek to destabilize us. This is the time to come together as never before and get our policies right for the present and the future. A few days ago I was very upset to know that my Alma Mater that is Institute of Business Administration , Karachi became targeted of what one may call as a victim of the radicalization of the country. Self proclaimed religious vigilantes made sure that they are heard at the point of guns and threats as it looks like they have weakened their case of persuasion with the ongoing violence their kind has unleashed on this country. Force is the only option they have up their sleeves. I am sure their days of hegemony are counted. As I write this piece during the festive Eid Holidays . I find out to my dismay that yet another legislator of KPK has become a victim of suicide bombing. Now I am sure that some may blame RAW and CIA for it but that is what was blamed when Lt. Gen Niazi was martyred a few days ago. Only that the conspiracy theories bit the dust a few days later when TTP came out not only with the attack footage but claiming the responsibility as well. Now the question which is really itching my mind is that why such an important General was coming back on his own and that too from a restive area. I would not even dwell further as lets leave it for another day. Then again no day pass by when Pakistan Army’s bloggers come out with videos where they are posting of our young men who have been martyred in this war. Sometimes when I hear that some of our leaders who would like to enter truce with these terrorists makes me feel sick and force me to ask only one question that by entering into peace; we are just trying to maybe save a few more lives whilst we are looking down upon the sacrifice of the thousands of our soldiers who gave their lives defending this country from a domestic enemy. Lets not forget the fifty thousand plus civilians who have been victim to the same as well. What confuses me more that Imran Khan whose party currently rules KPK talks about peace with TTP through negotiations and yet looks hapless on the murder of yet hundreds of innocent civilians including from various sects and religions being massacred in the provincial capital since they took over the rule from ANP which has suffered a lot at the hands of TTP in KPK especially. He still insists on negotiations when his Member parliaments get killed. His allies like Jamaat e Islami which in my view is the political face of Talibans like Amal Party is of Hezbollah act more naïve and try to prove that TTP is innocent of all crimes and PTI tagging along insist on pursuing these negotiations. I sometimes wonder if their own kin gets killed by these terrorists . Would that still be a position these radicalized politicians pursue? I doubt. They would stand first in line to call for an all out war. I just now pray that some light appears on the subject which would help these adjudge their position more . As it is this indecisiveness of such politicians where our Army is not getting a clear mandate for going for an all out operation. And as my sources tell me due to this elongated war where negotiations are being pursued. I fear that the segment within our armed forces who were against this TTP operation would only become stronger. Now don’t tell me its not the case. As many hawkish former generals are very vocal like Gen Hamid Gul etc having a lot of clout on some within our armed forces and the two attack on our air force bases are a clear example when they happened in Karachi and Kamra were also from within the ranks unfortunately. Lets not forget the attack on Gen Musharraf which many said was an inside job and yes how can we forget Brig. Ali and GHQ attack. The list goes on. This indecisiveness of our politicians is just nurturing another demon within our armed forces. Which lets not forget is not just a conventional army but proudly a Nuclear army as well. Just a day or two ago I heard to my astonishment that Maulana Fazl ur Rehman on television stated that these TTP terrorists are fighting for independence. Yet, I don’t hear the word traitor for these anywhere. Where our media pundits are quiet savvy to accuse BLA and MQM as traitors at the first outset of an opportunity. Yet they keep shut on TTP who have been video taped executing our soldiers, torturing them, butchering them and infact mutilating them. I can only imagine that either it is out of hypocrisy they adopt a different position towards TTP or out of cowardice . Either ways our young men continue to get killed for what is turning out to be a purposeless struggle for them due to the current political situation. Sometimes, I wonder why don’t they just do a ceasefire and let their body count stop from increasing till our confused politicians clear their heads and give them a clear policy . I don’t think that one of the finest army of the world lack any skill to follow the order when it comes and if it comes to any possible outcome. Which I just hope is in the interest of the nation. So I just wonder that after the murder of PTI’s Law Minister today and that too in D.I. Khan . Mr. Imran Khan would still insist on letting TTP open their offices across Pakistan . I don’t know about others but I don’t know how would I control my emotions when I see such an office of the murderers of my fellow Pakistanis. Criticizing is the easiest part . Some would say. If I have the choice. I would increase the attack on Taliban and that’s it. And not only in KPK; as we all very well know that they are spread out across including Karachi . Do a sincere operation against them. Kill them or pursue them. And then go in with the negotiations. Now if we go in listening to what Hakim ullah Mehsud said a few days ago that no one should expect a ceasefire and still let the negotiations pursue. We are entering into it with a weaker position and we loose as a nation either ways. Because if its successful; it means a more radicalized Pakistan and also a great psychological victory for TTP over the mightiest armies of the world. Than in that case I would insist that the same approach should be with all including BLA who I feel are more deprived than anyone else. Only since they don’t have any contacts in the establishment doesn’t mean that they are harked with a different stick. I feel that there should be one standard for all in this country. Anyways, I am sure that like everything else Taliban apologists have been trying to sell to the innocent people of the country. I doubt any fruitful negotiations would or should start on the graves of our martyrs and dipped in the stream of blood of them. We all end up wasting precious time. Meaning a more disheveled nation, a more confused army men due to our politicians though Gen Kiyani kept them together all these years and did a great job at it. I think we Pakistanis deserve more. Whilst we deserve to get rid this nation of confused politicians. We also deserve to get rid our nation of hypocrite politicians as well. Like I am saying that the time is running out. Either we take control of the situation and attack or end up playing the defence and suffer of what I fear might be a radicalized Pakistan contrary to the vision of Quaid e Azam Muhammad Ali Jinnah and infact putting our country in a more difficult position globally. Hoping we move on with the right thing soon. Pakistan Zindabad! Despite its many flaws Facebook is still an essential website for most people. Everybody uses it in different ways, but Facebook’s raison d’etre (reason for existence) is for friends and family to keep in touch with each other online. And it manages this exquisitely. Unfortunately, Facebook has no power over who you choose to befriend on the site, or what those friends post on their wall. I say “unfortunately” because a lot of people post nonsense on Facebook. Nonsense that really should get them unfriended, by you, immediately. Do your friends do these things? It might be time. The Facebook Like has become a simple shorthand for registering approval of something without needing to take the time out to comment or explain any further. It’s a genius idea, and one which Google has since replicated with the +1 on Google+. However, it’s open to abuse, with people openly asking for Likes for statuses, pages, or even sweeping statements they assume everyone on their friends’ list will agree with. Don’t be taken in by this, and don’t click the Like button just because someone asked you to do so. Just unfriend them instead. I like reading intelligent and well thought out status updates from my friends on Facebook. These can often spark lengthy and informative conversations that I, they, and a host of other people get involved in. Unfortunately, not everyone seems capable of writing a few sentences out for themselves. Their Facebook feed instead consists of nothing but automated status updates. Perhaps telling the world the location they’re currently in, what games they have just played, songs they have just listened to, or TV shows they have just watched. I don’t care about that stuff, Mr. Roboto, so why are you telling me?! Ignorance is never good, but it’s somehow even more galling than usual when it’s the main thrust of a Facebook status update. If someone posts something on Facebook then they should insure they know what they’re talking about before they do so. Otherwise their ignorance will be discovered and ridiculed. By me, or pedants like me. Having a strong opinion about something is what social networks are all about, but basing that opinion on one version of events or a biased source, especially when you’re hurting half the people on your friends list with it, is only going to rile people up and lead to an unpleasant unfriending. Unless, of course, everyone else on your friends’ list is ignorant too. In which case, keep on keeping on. The Web is an amazing resource for news, whether it’s short updates on breaking stories or in-depth reporting on serious issues. Unfortunately not every piece of news you see online is legitimate, either because it originated on one of the many spoof news websites or because it’s someone’s idea of a joke. The vast majority of us (I’m sure) make sure to check the validity of a news story before spreading it around social networks. But that minority that remains seems more than willing to post any old rubbish to Facebook, whether it has any basis in fact or not. Which isn’t good for the reputation of the Internet as a source for real news. Flouncing has been around as long as the Internet has, with chatrooms and forums being the early tools in the flouncer’s arsenal. Now, it’s Facebook, with attention seekers the world over able to make a dramatic exit only to return a few hours (or at most, days) later. There is nothing wrong with leaving Facebook for good, declaring that you’ve had enough of the bickering and BS and are deleting your account. But don’t tell everyone you’re leaving the site only to come back after a few people persuaded you to do so. That’s flouncing, it’s childish, and it deserves an immediate unfriending. Enjoying the occasional rant in life isn’t all that bad, especially if it’s a focused rant about something you’re interested in. But ranting all day every day, and on Facebook in particular, is behavior not becoming of an adult, no matter how immature that adult may be. When every status update is a rant then that person has lost all sense of reality and is just pumping bile out into the ether. And who is on the receiving end of that stream of vitriol? Why, friends and family of course. Unfriend this ranter and don’t feel guilty about it for even a second. Many people like taking photos, considering themselves to be competent amateurs. The emergence of smartphones has aided this revolution, as everyone with a smartphone now also has a capable camera in their pockets just begging to be used. But that doesn’t mean it should be used. For everything. All of the time. It also doesn’t mean those photos, and I mean each and every one of them, should be posted online. Parents who post endless photos of their genetic offspring, foodies who post endless photos of the meals that will end up looking a lot less appetizing after digestion, vain nobodies who post endless selfies complete with duck face expressions. Enough already. These seven archetypes don’t deserve your friendship, at least on Facebook. In real life they may be the most genuine people on the planet, but they then head online and turn into idiots. Idiots that should form part of any frenzy of unfriending you embark upon. I suspect you’ll recognize at least a few of these people from your own Facebook friends’ list. If so, are you annoyed by the way they act or do you refuse to let them get to you? Is there any other annoying behavior on Facebook you think deserves an unfriending? Vaguebooking is a given, and I’ve previously covered annoying Facebook updates guaranteed to annoy, but there surely must be others to out. Feel free to let us know your thoughts in the comments section below. 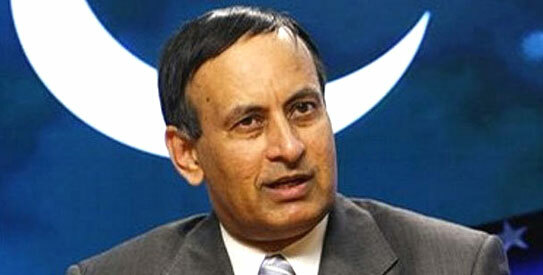 Yes—Mr Haqqani ( not a relation of the Haqqanis fighting US/NATO in Afghanistan) said this. He said it while the Prime Minister of Pakistan was on his first official visit to Pakistan. We will never know if President Obama confronted Prime Minister Nawaz Sharif with the statement made by Pakistan’s former Ambassador to the US but even if he did not quote Mr Haqqani his hand must have been strengthened. While Americans are astounded that a former Ambassador could say such things about his own country they are quick to confirm that he is telling the truth and then go on to praise him for that. Mr Haqqani’s statements especially those condemning Pakistan’s institutions are getting him hero status in the US with‘we told you so’ smugness. US think tanks and universities are rolling out the red carpet for him and he is lapping it all up and saying exactly what they want to hear. Expect Indians and others to follow suit. Someone needs to tell Mr Haqqani that Pakistan is fully capable of coming to terms with global realities and has in fact done so as its policies indicate. This,however,is not what Mr Haqqani and his admirers will ever admit because so many lucrative funding sources will dry up. That is what it is all about. The reality that is not being understood is that Afghanistan will blow up in 2014 if Pakistan is not on board and if it is not maintained as an ally. No longer does the US dictate—it is the local environment that now dictates what will happen. You have to respect others to get respect—not by driving them to the wall. The situation in the Middle East today is a perfect example of what happens when you listen to those ready to sell their own countries for personal gain. Taking the cue from Mr Haqqani we see Mr Ahmed Rashid sounding off on Pakistan’s nuclear weapons (Pakistan Today dated October 24,2013) and strangely his is the only voice being raised on this issue. His convoluted logic has only one aim—to highlight the fact that Pakistan has opted for ‘small’ ‘tactical’ nuclear weapons and he thinks that India and Pakistan are daft enough to trigger a nuclear exchange when both are trying for peace,reconciliation and a focus on their economies and people. Pakistan has tested such a weapon but that is about it. The ball is in India’s court as far as future developments are concerned. Again as if on cue the Washington Post has stepped in to state that the resumption of US aid is to enable the government to rein in the military and ISI. Isn’t this what ‘someone’ tried to do through language in the Kerry Lugar Berman Bill ruining the positive vibes it should have created? Isn’t this what the infamous MEMOGATE was all about? Isn’t this what is stated in the earlier book—‘Between the Mosque and the Military” and finally isn’t it a strange coincidence that all these tracks go back to the author of Magnificent Delusions? Coincidence indeed!! You do not have to be a rocket scientist to put two and two together but apparently the US does— that is if it really wants to put anything together. Pakistan’s military and ISI is under government control and these institutions are an asset for Pakistan and guarantors of its national security—this is the truth and not what is being said by those who allow themselves to be manipulated. Pakistan needs to learn that Ambassadors and other representatives abroad should not be appointed on whims because once appointed they have access to state secrets and can end up becoming delusional about their own importance and moorings. The best bet is to appoint career foreign service officers and then ask them to deliver results or get fired. Twenty-six-year old Asif Ahmad Ganie still wonders how he survived the massacre that took away more than forty lives on this day, twenty years ago, in Bijbehara, the Chinar town of Islamabad district. The Border Security Force (BSF) men are accused of killing 43 civilians here on October 22, 1993. That day people were peacefully protesting against the army siege of Hazratbal shrine in Srinagar when the BSF men suddenly opened fire. Asif, a 5th standard student then, was present among the people who had gathered on the street after offering Friday prayers. Asif was hit thrice. When he received bullets in his arms and legs, he fell on the street. He could only see blood. He thought he was dead. Asif survived to tell the tale, but he still carries the scars on his body. And the unhealed wound is fresh in his mind. Even twenty years after the massacre, he is haunted by the blood, the cries of people as they were hit by the bullets. He saw dead bodies around him. The gory scenes refuse to leave his thoughts. He is still haunted by them. His right arm, fractured by a bullet that day, was recently operated on. A bullet had also broken through the bones of his right leg. The third bullet hit him near his crotch. After that he had fallen on the roadside, unconscious. He woke up in the hospital. One of his cousins, a 5th standard student like him, received bullets in his face. One side of his face was blown away. He died on the spot. Abdul Rasheed Shergujri, a middle aged man, was also part of the procession that came down on the main street that day after people offered Friday prayers in the Jamia Masjid. “When we reached near the highway, BSF started firing from all sides,” he recalls in his shop in the Bijbehara town market. Rasheed was shot in his leg. He lay in a pool of blood and he was crying for help. His brother Muhammad Shafi had received bullets in his head, he later found out, and died on the spot. Rasheed was later picked by one of his elder brother who took him to the hospital. Mukhtar Ahmad Ganie, a 19-year-old vegetable seller, had tried to run into a by lane when BSF men opened fire on the procession he was part of that day. He received a bullet in his spinal cord and succumbed on the way to the hospital. Many people who had received fatal bullet injuries that day died of blood loss as people couldn’t pick up the injured on time. “The BSF men fired on even those who would attempt to pick up the injured,” says Rafiq. “Firing continued for around 30 minutes.” The injured and the dead were then dragged in hand carts as ambulances were nowhere in sight. Rafiq says their family was economically dependent on Mukhtar who worked hard at a young age to earn a living for his family. He used to earn well by collecting vegetables from the rural belt, his brother says, and then he would sell it in Srinagar and other towns. Rafiq’s close friend, Muhammad Iqbal, who was studying in fourth standard that year, was also killed in the BSF firing that day. Rafiq says many survivors and eye witnesses of the massacre, especially young boys, are still suffering from post-traumatic stress disorders in their town. He himself has to regularly consult a physiatrist to ease his stress disorder. “Recently when renowned physiatrist Dr Margoob held a free camp in Bijbehara, most of the people he treated for stress disorders here were either those who survived the massacre or those whose relatives had died in the massacre,” he says. Another local resident, Noor Muhamamd Vaid, whose 18-year-old nephew Abdul Rasheed Vaid was among the dead in Bijbehara massacre, recalls people carrying around dead bodies in hand carts that day. Rasheed had received three bullets in his abdomen. He died on the spot. “It was like Qayamat that day,” he says and looks away to gather his thoughts. After an uncomfortable pause, he adds, “people were shouting and running for their lives. There were dead bodies, blood and bullets flying around.” Before they lost their younger son, the family had suffered another tragedy a year ago. Abdul Rashid’s elder brother Mushtaq Ahmad was killed in custodial killing, says Noor Muhammad. Mushtaq Ahmad Pandit, a 33-year-old tailor from Bijbehara town, is another survivor of the massacre. As BSF men opened fire in the direction of the people, he received two bullets. One bullet hit his leg and another, his left arm. His head hit a rock on the street which damaged his right ear drum. He was run over by people who were running for their lives. He doesn’t remember who picked him from the street. He woke up in the hospital later that day. His father, Ghulam Muhammad Pandit, who was also part of the procession that day, received a bullet in his leg. He was treated in bone and joint hospital in Srinagar for two years. The doctors had asked to cut his leg but his family didn’t want him to lose his leg. He suffered from infection for many years and couldn’t move out of his home. Two years ago, he passed away. He was 70. Shabir cannot work for long hours in his shop because of the bullet injury in his arm. He cannot hear properly and needs to permanently wear a hearing aid. He cannot lift weights. He looks older than his age. In the past twenty years his right arm had to be operated on four times. He is yet to recover from his injuries. The pain has not gone away and the memories of the dead have stayed with him. They are refreshed every year on October 22, a very painful and long day for the survivors and victims of the massacre. Shabir says he saw a young man dying in front of his eyes that day. Those memories haunt him to this day. Twenty years mean nothing for us, he says. The memories are as fresh as his unhealed wounds. China-Pak tie-up serves interests of both by giving India a potential two-front theatre in the event of war with either country. Even as prime minister Manmohan Singh was getting ready to leave for his trip to China, news emerged of China-Pakistan nuclear cooperation. In what will be the first foreign sale of its indigenous 1,100 mw nuclear reactor, ACP 1000, China is all set to sell two more nuclear reactors to Pakistan in direct contravention of its own global commitments as member of NPT and the NSG. India has been reduced to protesting ever since the details of a potential Sino-Pak deal came to light some months back. New Delhi, we are told, has made its reservations known to Beijing through diplomatic channels. But should it really come as a surprise that China is trying its best to maintain nuclear parity between India and Pakistan? Maintaining close ties with China has been a priority for Islamabad and Beijing has provided extensive economic, military and technical assistance to it over the years. It was Pakistan that in early 1970s enabled China to cultivate its ties with the West and the US in particular, becoming the conduit for Henry Kissinger’s landmark secret visit to China in 1971 and has been instrumental in bringing China closer to the larger Muslim world. Over the years China emerged Pakistan’s largest defence supplier. Military cooperation between the two has deepened with joint projects producing armaments ranging from fighter jets to guided missile frigates. China is a steady source of military hardware to the resource-deficient Pakistani army. It has not only given technology assistance to Pakistan but has also helped Pakistan to set-up mass weapons production factories. Pakistan’s military modernisation process remains dependent on Chinese largesse. In the last two decades, the two states have been actively involved in a range of joint ventures including JF-17 Thunder fighter aircraft, K-8 Karakorum advance training aircraft, and Babur cruise missile the dimensions of which exactly replicate the Hong Niao Chinese cruise missile. The JF-17 venture is particularly significant given its utility in delivering nuclear weapons. In a major move for China’s indigenous defence industry, China is also supplying its most advanced home-made combat aircraft, the third-generation J-10 fighter jets to Pakistan, in a deal worth around $ 6 billion. Beijing is helping Pakistan build and launch satellites for remote sensing and communication even as Pakistan is reportedly already hosting a Chinese space communication facility at Karachi. China has played a major role in the development of Pakistan’s nuclear infrastructure and emerged Pakistan’s benefactor at a time when increasingly stringent export controls in Western countries made it difficult for Pakistan to acquire materials and technology from elsewhere. The Pakistani nuclear weapons programme is essentially an extension of the Chinese one. Despite being a member of the NPT, China has supplied Pakistan with nuclear materials and expertise and has provided critical assistance in the construction of Pakistan’s nuclear facilities. Although China has long denied helping any nation attain a nuclear capability, the father of Pakistan’s nuclear weapons programme, Abdul Qadeer Khan, himself has acknowledged the crucial role China has played in his nation’s nuclear weaponisation by gifting 50 kilograms of weapon grade enriched uranium, drawing of the nuclear weapons and tons of uranium hexafluoride for Pakistan’s centrifuges. This is perhaps the only case where a nuclear weapon state has actually passed on weapons grade fissile material as well as a bomb design to a non-nuclear weapon state. India has been the main factor that has influenced China and Pakistan’s policies vis-à-vis each other. Whereas Pakistan wants to gain access to civilian and military resources from China to balance the Indian might in the sub-continent, China, viewing India as potential challenger in the strategic landscape of Asia, views Pakistan as it central instrument to counter Indian power in the region. The China-Pakistan partnership serves the interests of both by presenting India with a potential two front theatre in the event of war with either country. In their own ways each is using the other to balance India as India’s disputes with Pakistan keep India preoccupied failing to attain its potential as a major regional and global player. China meanwhile guarantees the security of Pakistan when it comes to its conflicts with India thus preventing India from using its much superior conventional military strength against Pakistan. Not surprisingly, one of the central pillars of Pakistan’s strategic policies for the last more than four decades has been its steady and ever-growing military relationship with China. And preventing India’s dominance of South Asia by strengthening Pakistan has been a strategic priority for China. But with India’s ascent in global hierarchy and American attempts to carve out a strong partnership with India, China’s need for Pakistan is only likely to grow. A rising India makes Pakistan all the more important for Chinese strategy for the subcontinent. It’s highly unlikely that China will give up playing the Pakistan card vis-à-vis India anytime soon. Indian policy makers would be well advised to disabuse themselves of the notion of a Sino-Indian ‘strategic partnership.’ China doesn’t do sentimentality in foreign policy, India should follow suit. Where are the billions going? HUNDREDS of men, some on crutches, all wearing tattered clothing, gather shortly before dawn at major intersections throughout Kabul and other Afghan cities. Displaying primitive tools such as a level or a trowel, they seek labour that is often backbreaking, always temporary and will earn just a few dollars for a day’s work. Employers circle the intersections, eyeing the crowds. Usually they are looking for one or two workers for minor construction tasks. Before they even stop, dozens of men swarm their vehicle, fighting with each other to get one of perhaps five or six jobs available that morning. Despite billions of dollars from abroad to develop this impoverished country since the US-led invasion toppled the Taliban regime in 2001, roughly 12 million people, or eight out of every 10 working-age Afghan are unskilled day labourers, according to an International Labour Orga-nisation report. Most land only temporary jobs. In rural areas, work is also temporary — but it’s also seasonal and often illegal, the report said. Some of the biggest employers, opium-producing poppy farmers, provide tens of thousands of short-term jobs. But almost everywhere, the pay is meagre. Afghans with jobs, whether part-time or full-time, earn on average $410 per year — or about $1 per day, according to the World Bank. Mir Afghan, a day labourer standing on line one recent morning at a Kabul intersection, says he hasn’t worked in 13 days and is $1,260 in debt. He said neighbours occasionally help him out and local stores give him food on credit. One neighbour recently loaned him $9 to buy medicine for one of his six children. At Mir Afghan’s home in a congested neighbourhood on the edge of Kabul, his wife, Sabar Gul, started crying when asked about the family’s meals. Cradling her coughing and feverish infant son in her arms, she said she has enough food to cook only one meal each day and they rarely can afford to eat meat. The International Labour Organisation report, released last year, offered several grim statistics: nearly half of Afghans don’t have enough to eat; 18 percent of children under 15 years old are working; and 82 per cent of Afghans are illiterate. Most businesses are not registered and thus do not pay taxes. That means the government, riddled with corrupt officials, is heavily dependent on international aid as well as on the black market — most often linked to the country’s flourishing drug trade. Ten years ago the International Labour Organisation warned that long-term stability and prosperity would elude Afghanistan if employment, the kind that guarantees a regular income, wasn’t made a key component of projects to reconstruct this war-ravaged country. But aid organisations were reluctant to get involved in job creation, the private sector remained stagnant despite significant investment in telecommunications, and many wealthy Afghans chose to put their money in other countries. Nowadays, the report said, most Afghans cannot find permanent work, and even temporary work is drying up as international aid money dwindles ahead of the 2014 deadline for the withdrawal of US and Nato combat troops from Afghanistan. “There is a serious looming problem with unemployment in Afghanistan,” said Graeme Smith, senior Afghanistan analyst for the Brussels-based International Crisis Group. “Ordinary workers have depended heavily on construction, trucking and other sectors that saw boom times because of the presence of foreign troops and aid projects — and there’s likely a coming bust, as soldiers withdraw and development budgets shrink,” he said. A day labourer works two, maybe three days a week, said Maroof Qaderi, president of the National Union of Afghanistan Workers, Employees. They are often heavily indebted to banks, family and friends. A 2011 report by the International Crisis Group said $57 billion in international aid had been dispersed in Afghanistan since 2001. But while the figure seems huge, if divided among the country’s 34.4 million people, it would come up to roughly $1,657 per person over 10 years, or about $166 per each Afghan per year. The ICG said the $57 billion represents only a “fraction of what has been spent on the war effort.’’ To pay his bills, Mir Afghan has taken his oldest son, Mohammad, out of school and put him to work making carpets and doing odd jobs. But Mohammed, a lean 19-year-old, says he keeps up his studies at night. “I don’t want my life to be the shovel. I want to finish high school, and go to a government college to study economics,” he said. For the past several mornings, several university students have mingled among the scores of men, including Mir Afghan, looking for work at the intersection in Koti Sangi, a district in the heart of the Afghan capital. Waheedullah, 22, says his family has only enough money to pay for his attending classes part-time, and he’s worried he won’t be able to finish his studies. He gets up at 4:30am to bicycle to Koti Sangi, where he hopes to find a couple of days of work. Waheedullah, who uses just one name, blamed the weak economy on rampant corruption, saying Afghan officials and their foreign partners have siphoned off most of the money that’s come to Afghanistan. On the request of China, the government has decided to ban three extremist organisations allegedly involved in insurgent activities in the Chinese province of Xinjiang, BBC Urdu reported. Quoting sources in the Interior Ministry, the report said the security agencies believed the three organisations were involved in extremist and insurgent activities in the Muslim-majority province of Xinjiang and inciting the local population against the government. These banned outfits include the East Turkestan Islamic Movement (ETIM), Islamic Movement of Uzbekistan (IMU) and Islamic Jihad Union (IJU).The said bodies have been the subject of much concern in discussions between the Chinese and Pakistani civilian and military authorities. The report quoting sources said this matter was raised by the Chinese officials during the visit of the prime minister. These three outfits are also included in the list of most dangerous outfits after al-Qaeda. The Chinese officials had told Pakistan that members of these outfits were in contact with likeminded people in Xinjiang and they may use the Chinese population to pursue their plans. The interior ministry sources were also quoted as saying that Pakistan had been in contact with the Turkish and Uzbek governments over ETIM and IMU, and had learned that over 50 people constituting these bodies were individuals highly wanted by local authorities. The outfits include 10 females and some of them are suicide-bombing trainers. Pakistan is reported to have caught and arrested various members of these groups in operations against the militants in South Waziristan and other tribal areas.As these groups are also allied to al-Qaeda, there is a possibility that their members might also be fighting against the Pakistani, Afghan and Nato forces on both sides of the Pak-Afghan border. The government has enhanced the security of Chinese diplomats in the country against possible attacks by these militants.At least 50-60 organisations already exist on Pakistan’s list of banned outfits. Well, hello, everyone, and welcome to this Council on Foreign Relations on-the-record media call on U.S.-Pakistan relations, which is pegged to the ongoing visit of Prime Minister Nawaz Sharif to Washington. I am Robert McMahon, editor of CFR.org, and I will be presiding on this call. I’m going to start by asking a couple of questions to both of them before opening up to callers on this line. And I know there’s a lot of you, so we’ll get to you in due order. I wanted to start with Ambassador Munter, who has — just was part of a meeting earlier today with Prime Minister Sharif. And, Ambassador Munter, could you give us a sense of the tone of — Prime Minister Sharif spoke at an event this morning in Washington, and you had an opportunity to meet with him and a group of other people. Could you discuss that a little bit? MUNTER: Sure. This is Cameron Munter speaking. And I attended the speech at the U.S. Institute of Peace, where Nawaz was, I think, very judicious, very careful. He was — he’s making sure that he gets across a modern and moderate image, and those are words he used, went over — went through his — made it clear to his audience who I think wanted to hear this that the greatest threat to internal peace is terrorism and extremism. He was pleased with what the government has been able to do in the short time and energy, but that they have great challenges on foreign policy, and he focused not only on Pakistan, but on its immediate neighbors, Afghanistan, India, and when on to make sure that he gave a very positive gloss to what’s been a very strained relationship in recent years to the Pakistani-American relationship. In doing so, I think what he did was continue what he’s tried to do through this time here. He’s had high-level visits in Washington in the last couple of days where he’s tried to say, we can put this back on a good footing, trying to keep expectations fairly low. In a later meeting that I attended with him, a smaller meeting, this — it’s something that was a confidential meeting, and I’m not going to be talking about the substance of it, but I would say that the form was very much the same, a very warm meeting, a very straightforward meeting, where he’s being very upfront about the problems he faces, especially in security realm, but being very — being very positive and being very cautious in not taking on too much, but trying to say that we can move ahead. MCMAHON: Now, there hasn’t been a Pakistani visit of this level, I believe, in about five years. What can we meaningfully expect to see from this, in terms of — you know, we’re seeing reports about everything from drone policy, discussions on the Afghan — the U.S. withdrawal from Afghanistan, energy assistance and so forth. So what should we be looking for? MUNTER: Well, I think at the very least what we’re looking for is the opening — reopening and the strengthening of dialogue. The Pakistanis are interested in furthering strategic dialogue, something that we had kind of robustly in before 2010 and that kind of collapsed during the time after that, building up on high-level talks on issues that are of common interest to both countries, defining them very well, and going — and not shying away from problems like security issues, like economic issues, that could separate us. So I think the main thing we’re looking for is process that allows us to solve problems, not to be blindsided by things and events as they come along. MCMAHON: Is the Pakistani delegation that arrived indicative of what they’re looking to come away with on this visit? MUNTER: Well, it is true that they have the — one of the all-stars on the visit is their finance minister, Ishaq Dar, who is the man who has done the financial and fiscal reforms that have begun those efforts after the election to try to fix some of the real important domestic issues. And there’s a foreign element to that. They want to make sure that they’re on the right footing with us in financial areas and to open up for business and things of that sort. He has — he has a very able set of advisers with him. So I think that what he wants to demonstrate is that we don’t need to have a — if I understood him correctly, we don’t need to have a relationship that’s based on dealing with the crises of the day. That’s something where we can invest in a longer-term relationship, including business relationship, which could actually be the key to some of Pakistan’s problems, and that they’re looking to the region as a place in which a lot of the action’s going to take place in years to come. What happens in Afghanistan, what happens in India will have a lot to do with Pakistan’s success. MCMAHON: Ambassador, one more question, which is, do you see any problem created by — there’s a number of reports that have come out, putting the — potentially putting the relationship in a negative light, referring to the impact on civilians of U.S. drone strikes in Pakistan, the extent to which NSA is kind of blanketing parts of the country with surveillance. Are these going — are these going to shadow — have they already been kind of taken on in this relationship and addressed prior to this, do you think? Or can you talk a little bit about what impact it might have? MUNTER: Sure. I’m pretty positive about that. These are not new issues. They’re serious issues. They need to be discussed at the highest levels, and when Nawaz sits down with John Kerry or Chuck Hagel and — or the president of the United States and talks about them, that’s a very good thing. But these are — these are not new. These are problems about the American and Pakistani efforts to fight terrorism, American and Pakistani efforts to try to come to an agreement about how the world is going to look after 2014, where that part of the world’s going to look. So even though these reports are out there and it’s good that we discuss those things in public, I don’t think for the relationship this is anything new. It’s a reminder that we really have to address these things seriously, and it’s good that we’re going to do that. Dan Markey, your extremely timely new book describes the relationship between the U.S. and Pakistan as bedeviled by mistrust and missteps, and with problems that defy easy solutions. I’d like you to first take a step back to spell out why this effort matters, why Pakistan matters to U.S. interests at this point in time. MARKEY: Sure, thanks. Look, the — from a U.S. perspective, broadly speaking, we have sort of three layers of interests and concerns about Pakistan. And, of course, the first two are most familiar. They begin with a question of nuclear weapons, Pakistan’s nuclear arsenal, which is growing, concerns about Pakistan have to — because it is nuclear-armed, because it has a history of hostility with its next-door neighbor in India, because it has also in trans-terrorist networks, concerns about Pakistan have to loom larger than they might otherwise. Second issue gets back to the terrorism problem. It’s not just Al Qaida, although it starts there. It continues on into regional militants’ groups that have been active in Afghanistan, groups like Lashkar-e-Taiba that have targeted inside of India, and groups that — inside of Pakistan, sectarian groups and other types of terrorist organizations that threaten the peace inside of Pakistan itself. And then, as Ambassador Munter pointed out, Pakistan can’t just be dealt with in a vacuum. We do need to see it not only in the context of post-2014 plans in Afghanistan, but in terms of our broader regional agenda, that — from a — from a really macro perspective and a macro historical perspective is increasingly focused on the rise of China, concerns about how to respond to that rise in terms of Chinese power, and that relates very directly to also the question of the rise of India and our relationship with India, which has become closer in recent years, and the question as to where Pakistan fits into that wider regional agenda, whether Pakistan — if things get worse — would become potentially a real spoiler or irritant. One could imagine a situation where Indo-Pakistani hostilities drag India down, make it less of a partner than Washington would like. And one could imagine scenarios in which a U.S.-Pakistan crisis would also create problems for the United States and China, given that China has always been one of Pakistan’s major backers. So we have a lot of different interests there. And when you put them together, it becomes a really difficult knot to untangle. MCMAHON: Well, the countries have emerged from the trough of a couple of years ago, but — and seem to be working together, at least speaking together quite a bit about the devolution of U.S. forces from Afghanistan, and, you know, what a post — a post-U.S. military scene would look like in Afghanistan. You have written a new op-ed that addresses the little-understood — at least in this — I think in this country — insurgency with Pakistan’s Taliban. And you call in this new op-ed for sort of a low-key U.S. approach as Pakistani leaders take up these talks, even laying off drone strikes so as to avoid giving some Pakistani politicians maybe a useful villain to focus on. But why would that approach be useful? And what does that say about the way — the nuanced way this relationship needs to be handled? MARKEY: Well, let me be very specific. Right now, the Pakistani government, and Nawaz Sharif included, but also the other political parties, have decided that they want to entertain a dialogue with the Pakistani Taliban. That is not entirely distinct, but in important ways different from the rest of the Taliban or the Afghan Taliban that have been focusing their attentions more in Afghanistan. The Pakistani Taliban has brought huge violence and destruction to Pakistan itself. It has been a declared enemy of the Pakistani state. And so the question now is whether there’s space for a dialogue. Now, I’m personally quite skeptical about the prospects for such a dialogue, given that the Pakistani Taliban has really declared itself anti-state at its core, but I think most important, whether or not there’s success, major or minor, we should make sure — we, the United States should make sure that we have — we are not perceived as being the reason for any failure of dialogue, that we are not injecting ourselves into that process in a way that would lead to more discord between Washington and Islamabad. And the example I would use is, last May, Pakistan had national elections. And unlike in past contests, the United States was very much hands-off and was by and large seen that way inside of Pakistan. And that was a healthy thing. And here, again, if we can try to keep a hands-off approach — and as I say, let the talks fail for their own reasons — I think they might fail well. That is, the Taliban’s motivations and lack of desire to pursue a real peace talk would be perceived by the vast majority of Pakistanis, and that would, I think, lend support to greater unity in tackling the problem of violent extremism inside of Pakistan that’s a real very problem. And, again, it’s somewhat distinct from the problem that we have with Pakistan on its dealings with the Afghan Taliban or that we have in trying to bring stability to Afghanistan. It’s a very important one, given the broader challenges that we see inside of Pakistan itself. MCMAHON: And there seems to be an opening, perhaps, for, again, U.S. assistance to Pakistan. It was just announced that the U.S. was going to give, I think, more than $1.5 billion in assistance. This is, I believe, assistance that had been blocked because of tensions that arose since the raid that killed Osama bin Laden inside Pakistan. Is this — this kind of opening maybe opening to further trade and aid that might, you know, maybe build up a new period of goodwill in the relationship? MARKEY: Well, more than anything else, I think this is trying to get back to a level of business and cooperation that was ruptured in the period after — from about 2011 through half of 2012. This is not new money, new military assistance. This is money that had been in the pipeline, as I understand it. And so I think this is kind of an effort — and I would call it a renegotiation of the relationship. And in some ways, this is the third negotiation of U.S.-Pakistan cooperation since 9/11. There was the “You’re with us or against us” moment shortly after 9/11, where Pakistan joined with the United States in some important ways on fighting Al Qaida, and we had some major arrests and captures during that early period. Another renegotiation of the relationship at the end of the Musharraf regime and the beginning of the first civilian government and a new army chief in General Kiyani. And now we have this third negotiation with a new prime minister in Nawaz Sharif and soon — at the end of November — a new army chief, as well. So I think, as Ambassador Munter said, this visit by Prime Minister Nawaz Sharif is useful to re-establish this dialogue and to maybe build a new foundation for a new type of cooperation on a range of issues and to confront some of those really tough ones, including drones and Taliban talks that have really bedeviled the relationship for years now. MCMAHON: One final question before we open up this call to our callers. You did mention the transition of military leaders. It’s a time when the whole region is undergoing transition. There’s going to be elections in India next year, in Afghanistan, as well. Pakistan itself obviously had is own turnover in — of civilian control. So this — it might be a time to — to take stock of the glass being half-full rather than it half-empty. But as your book conveys, there’s a lot to be sober about, as well. Do you see — what are the opportunities you see, though, in this kind of regional transition going on, Dan? MARKEY: Well, in many ways, I’m concerned for the next, you know, say, eight months or so because of the uncertainties associated with politics. And you mentioned elections in India. We don’t know what’s going to come. But we can be fairly certain that there will be a new prime minister, and Prime Minister Manmohan Singh has been a stabilizing influence by most accounts. He’s been somebody who certainly has reached out to Pakistan on multiple occasions, and he’s also somebody who’s taken a very sober approach to what has unfolded in Afghanistan, even though Indians are very concerned about the situation there. So whoever comes, first, there will be tumultuous elections, and then there will be a new face, and so there’s uncertainty there. And on the Afghanistan side, there’s also uncertainty. Even just in the process of the election itself, I think with the degree of insecurity, national insecurity and political corruption, there will be real questions about the legitimacy of the process, and, yet again, an opening for those who challenge this Afghan state, centered on Kabul, to doubt its legitimacy and to call that into question at a national level. And so that gives strength — strength to insurgents and strength to opposition leaders, makes it harder to see that at least in that timeframe we have the pieces together to lead to a predictable and, therefore, somewhat more likely stable regional scenario. MCMAHON: Thanks, Dan. I’d now like to open up this call. And just a reminder, this is a CFR on-the-record media call with Cameron Munter, the former U.S. ambassador to Pakistan and a professor of international relations at Pomona College, and Daniel Markey, a CFR senior fellow for India, Pakistan and South Asia. Operator, do you have any questions from our line, please? OPERATOR: At this time, we would open the floor for questions. If you’d like to ask a question, please press the star key followed by the one key on your touch-tone phone now. Questions will be taken in the order in which they are received. If at any time you would like to remove yourself from the questioning queue, press star, two. Please limit your questions to one at a time. Again, to ask a question, press star, one. Our first question comes from Shaun Tandon with AFP. QUESTION: Yeah, thanks for doing this call. I guess there are lots of things to ask about, but just to focus a bit on the drone issue, just if that’s — as Ambassador Munter said, not new, but it’s front-and-center right now. What, if anything, do you think the two leaders can do on that tomorrow at the White House? I mean, is there a way for the two to have some sort of compromise, some way forward on the drones? Or is that just an area where there’s going to be some disagreement? MCMAHON: Ambassador, could you kick that one off, please? MUNTER: I’d be happy to. This is Cameron Munter speaking. I think it’s very healthy for that public debate to be taking place at this time. And I think it’s a good backdrop for a topic that senior members of our governments have been talking about for a very long time. The issue, in my mind, is more than just the drones themselves, even though there are many technicalities and things that are being discussed. The issue is the fight on terror and the common war against the people who have killed thousands of Pakistani soldiers and even more thousands of Pakistani civilians. When Pakistan talks about the fact that it doesn’t want to be seen as a source of terrorism, but rather as the victim of terrorism, it needs to talk to those people who wish it well, like the United States, about the means by which we do that. So I think that the way in which the president and other leaders of our country will talk to the Pakistanis will be to embed the discussion about drones into the broader question of, how do we deal with the common task of dealing with terrorism? What are the elements that the Pakistanis had, the Pakistani army, the Pakistani intelligence, the ability of the Pakistani people to play a role? What do the Americans bring to the table? And how is that changing in the time up to 2014 and after? What are the technical means? What are the things we want to deal with? So I guess my answer to your question about drones itself is, talking about drones and the difficulties that drones have posed as an issue only the prelude to talking about counterterrorism and the way in which both countries decide they’re going to work together or not to try to deal with it. MCMAHON: Thanks. Dan, would you like to add anything? MARKEY: Yeah, sure. I just would pick apart the drone issue into at least two pieces from — more from the Pakistani perspective, but also how it relates to the U.S. side. I mean, first, you have the political problem. And I think this — the last Pakistani government, President Zardari and his prime ministers really faced it as a political problem, that is, they by all accounts were willing to countenance U.S. drone strikes, at least at some level, and quietly give their assent. And they believed, probably, that the drone strikes were actually serving a purpose in many cases that was helpful to them, that is, that they were targeting terrorists and other violent extremists who also would have targeted President Zardari, if given half a chance. So it was a political problem, though. They were unpopular inside of Pakistan. Now there’s a problem not just — in addition to that, there’s the kind of strategic problem, that is — sorry, I’m getting called here — there’s a strategic problem, which is that U.S. and Pakistani sense of threat, that is, which groups should be targeted by drones, have been different for a very long time, whereas both of them are willing to go after Al Qaida core leadership, to some extent, and both of them are certainly willing to go after Pakistani Taliban, we’ve already talked about a bit, there has been a difference of opinion on Afghan Taliban and in particular Haqqani network, which the United States is seen as being affiliated with Al Qaida, has been wanting to target and has been targeting with drones, and which Pakistan sees as being less of a threat and certainly not a direct threat to Pakistani civilians or the Pakistani state. So there’s a political problem and a strategic problem. And just very quickly, in terms of a compromise, I believe that it is possible to imagine a compromise in which the United States would be willing to scale back its target list to Al Qaida core for a period of time, certainly during, say, two months or so, while Pakistan-Taliban talks are ongoing, if given the assent of the Pakistani state, because what we’ve gotten to is a place where Pakistan’s leaders have been very publicly saying that these drone strikes are illegal, violations of their territorial sovereignty, and that is not a precedent that I think the Obama administration should be setting. I think it’s a difficult position for the United States to be in. And if there’s a way to get out of it, which includes a compromise that would further narrow the target list, I think that it should at least be on the table for discussion. MCMAHON: Yeah, they even heard it from Malala Yousafzai recently in her visit about the drones, which I think was probably a little awkward moment. MARKEY: Probably a bit awkward, yes. That’s probably not a conversation they expected would come up. MCMAHON: Operator, is there another question on the line? OPERATOR: Thank you. Our next question comes from Carol Williams with Los Angeles Times. QUESTION: Hi. Thank you for doing this. There was a reference in your opening to the deterioration of U.S.-Pakistani relations after the Obama — Osama bin Laden killing. Was that grounded in feelings that their sovereignty had been violated? Or was there popular opposition to that strike on other grounds? MCMAHON: Ambassador Munter, could you start again on that? MUNTER: Sure, I’d be happy to. There were the — the context, even though that’s kind of a benchmark that we look at, there were things that were actually going downhill even before that. There was the public discussion and the debate that was going on over drone strikes. There was the Raymond Davis, in which as you will recall a — a CIA operator was arrested in Lahore or — and accused of shooting two Pakistanis. And so throughout that period, there was kind of a souring of relations that gets to your element about that there was a lot of public anger and a lot of public disappointment. I believe that in one of the problems that we had was that we had, in that second reset that Dan Markey mentioned before, that second reset of 2008, when the civilian government came in after Musharraf, there were great expectations and expectations that there would be kind of a more harmonious relationship, and many of those expectations through these symbolic — through these acts were dashed. The actual Osama bin Laden raid didn’t itself lead to — you know, public — there was some public demonstrations, but actually not as many as you might think. I think much more, it was part of the downhill trajectory and the relationship that led us to stop the level of, say, military-to-military cooperation, or even intelligence-sharing, that we had enjoyed previously. So it was one of the events — and a major one — that was seen as a step down the slope that included even later in the year the very unfortunate Salala incident, in which 24 Pakistani soldiers were killed in an incursion from Afghanistan by accident by — by ISAF forces. In other words, it was part of a process that went down through that year. The public was upset. The public remained upset. And it is only, I think, now that we are seeing, after very patient work that has been done by both sides, by people of goodwill on both sides, the kind of thing that Nawaz Sharif is doing now to try to say, where do we have common ground? Where can we set up mechanisms whereby these kinds of problems are less likely to take place? And how do we not shy away from the tough issues like drones that Dan Markey was talking about earlier? MCMAHON: Dan, do you want to address the sovereignty? Or do you want to move on? MARKEY: Well, just — just very quickly to say that not only was the — of course, the bin Laden raid was kind of a national humiliation inside of Pakistan, revealed to the world that bin Laden had been there, but also revealed to Pakistanis that either their military was complicit or at some level — or their security forces across the board were complicit or, at some level, incompetent. It created at least a brief period where the army and intelligence services, I think, felt very vulnerable. It created a political crisis that was quickly — I think fairly quickly resolved in the military intelligence services’ favor, that is, they closed ranks, defended their position. But it created that deep sense of vulnerability. And, of course, coming back to the — one of the themes in the book that I’ve written, you know, this is a two-way street. And this was a major slide in the relationship from the U.S. perspective, as well. I think, you know, from most Americans’ perspective, it is now one of the first things they think about in this relationship, and it’s one of the first things that gives them pause about contributing further to assistance, both military and civilian, inside of Pakistan, because they sense that there was some degree of duplicity or deep negligence/incompetence inside of Pakistan that led to bin Laden being there for so long. And that distrust is contributing to a downhill slide and has contributed to this downhill slide in the relationship that clearly both sides are trying to at least arrest and bring back around to a more normal working relationship now. OPERATOR: Yes, our next question comes from Seema Sirohi with Gateway House on Global Relations. QUESTION: Hi, I have two questions. The first one, wanted to know what you, Ambassador Munter, think about, how much control does Pakistani prime minister really have over foreign and security policy? And my second question is, generally, what would it take for Pakistan’s military and ISI to give up these terrorist groups and to stop using them as an instrument of state policy? Thank you. MCMAHON: So, Ambassador Munter, on the security? MUNTER: Yeah, to start off with, that question of the prime minister, there’s the ongoing question, the constitutional issue, if you will, about the control of the civilians over the levers of foreign and security policy. And it’s an open question. One thing is that that process that Dan Markey mentioned a minute ago, the crisis of 2011 in which there was a bit of a humiliation for the military, not only led the military to close ranks and to defend its position, but it also led to a fairly robust debate in the parliament, in particular, over such issues as foreign and — and security policy. I think there’s a long way to go, just as there is — on many other imperfections in Pakistan’s democracy, but I think that the progress that has been made in an open dialogue between the military leadership and the civilian leadership is remarkable in that time. I think that what Nawaz Sharif and his teams, especially his interior minister and other leaders have really attempted to do, is to be very frank with the military in Pakistan about the common tasks that they have. What do the police, what do the intelligence services, what do the military all need to do with the support of the people in a democracy, how do they work better in order to deal with the task that is acknowledged as the greatest threat to Pakistan’s security? And I emphasize, the fact that it’s widely said in public that the greatest threat is the militant threat is, in my opinion, a welcome change from the sense that many people had, that the greatest threat to Pakistan was understood in years past to be — to be India. The fact that they’re being realistic about this, both the military and the civilians, shows to me that the answer to your question is that those relations are in flux. The prime minister and his team do have, I think, more of a part of the discussion of national security policy, and the military, I think, is more open than it has been in the past. But there is a long way to go there. And they have to work on this. I think the people in charge there are trying to get through to this. They’re aware that the situation, as they had it in the past, didn’t serve them as well as it should have, and I think that’s part of what Nawaz Sharif is trying to do. MCMAHON: Dan, you want to speak to that point, as well? MARKEY: Yeah, I agree with what Ambassador Munter just said. I would say, just in terms of the prime minister’s control, look, there’s a key test that’s coming up at the end of November, and that is the way that the new army chief and the decision process of selection for the new army chief is managed. And if you go back through past choices of army chief, some of them have been quite revealing about the state of the civil-military relationship, and Nawaz Sharif knows from bitter experience how dangerous that decision process can be, and so far he seems to have been taking his time, being very, very careful, and trying to manage it without ruffling too many feathers. But he also needs to asset his authority here. And that — his ability to strike that right balance will be a test. With regard to what will get the Pakistani military and intelligence services to sever all relations with violent extremist groups from Haqqani network to the Lashkar-e-Taiba to everything in between, the answer is, so far, we haven’t seen it. And I think that the reason is because, while they do appreciate the risks of violent extremism when they come embodied in the Pakistani Taliban, they still — that is senior leaders within military intelligence — still believe that the costs to breaking with groups, Lashkar-e-Taiba in particular, the costs are still quite high. If they did not manage that break effectively, it could plunge the country into a greater degree of violence. And the potential utility of maintaining those links is still there. Now, it’s possible that their cost-benefit calculation has shifted over recent years, but still we haven’t seen it shift enough to change their basic behavior. And that remains one of the fundamental stumbling blocks in this relationship. Nawaz Sharif in Washington cannot manage that, but if he can begin the process of opening up a dialogue that would eventually get back to addressing those kinds of issues, that would be a healthy step. MCMAHON: Thanks for that question. Operator, is there another question on the line, please? OPERATOR: Yes, our next question comes from Ayesha Tanzeem with Voice of America. QUESTION: Yes, hi. Thank you for taking my call. I have two quick questions. One is the level of trust between the two intelligence agencies, what is that right now? And I remember there was that time when the CIA decided not to inform Pakistanis ahead of time before they were targeting a drone — a drone strike. That became a big issue. Is the level of trust at a place where they still don’t trust them? Or is it back where at some point they might start taking them into confidence, A? And the second thing is that Dr. Aafia Siddiqui and Dr. Shakil Afridi, they came — keep coming back up again and again. Do you see any prospect for a swap or anything else of that? What do you see as the future of the two? MCMAHON: Dan, you want to start this one? MARKEY: Not really, because — frankly, because, you know, to understand the question of the level of trust between the CIA and ISI is something that I think does require very much of more of an insider perspective, and even then I think it’s a difficult thing to gauge. Look, these are — these are organizations that are at various levels engaged in secrecy, and Ambassador Munter raised the issue the Raymond Davis affair several years ago. That was a CIA contractor who, to my understanding, was based inside of Pakistan, outside of the ISI’s knowledge or support, conducting operations that the ISI was not happy about, and doing so because there was a basic lack of trust in the — from the U.S. side about what Pakistan was really up to. Since, as I said before, there are still reasons for deep distrust about the nature of the relationship between Pakistan’s state and certain groups, with Lashkar-e-Taiba being one of the most important ones, I would have to imagine that at the core there is a lack of trust between the CIA and the ISI. But I would also note that that’s probably not all that different than the lack of trust that many other intelligence organizations would have when dealing with other intelligence organizations, and that’s the nature of the beast. As for Aafia or Shakil Afridi, I don’t — I don’t see movement on either of those. I also don’t see them as being — while they are politically relevant and sensitive issues, I don’t see them as having been central to the drama. But they’re more of a symptom of a wider kind of a problem in the relationship and a lack of trust and a lack of comfort and a deeper anti-American sentiment that is quite prevalent inside of Pakistan that persists. MCMAHON: Ambassador Munter, could you address that at all? MUNTER: Certainly. On that last point, I would just echo that while these two cases — Aafia Siddiqui and Dr. Afridi — are not central, they are cases that, in my opinion, would be good to talk about, as the countries begin to pull away or try to mitigate those elements that were the irritants that made problems. I would certainly see no reason why these — these issues shouldn’t be on the table, why we couldn’t talk about coming to agreements that would get rid of these symbolic elements of the problems in the relationship. Perhaps that part of the confidence-building that would be constructive, but I don’t know whether that is actually the case, since I am now out of the government. The same is true for the first — the first question. I am not working in the U.S. government, so I’m not sure what is going on between the ISI and the CIA. I can only say that in the broader policy agreement — agreements, broader policy issue that’s at play here, the more that the leadership of American policy — whether that’s American military, intelligence, or foreign policy leaders — talk with their counterparts, the more likely they are to be able to smooth out those kinds of levels of mistrust, which traditionally have bedeviled the relationship. Or you know quite well that there have been these narratives in Pakistani-American relations which have been very, very powerful, with the public and with leaders, the level that Americans somehow use Pakistanis and throw them away, or the narrative from Americans that we give them money, and we give them a privileged relationship, and what do they do? They betray us and do terrible things. These narratives are very pernicious. The way to deal with these narratives is to try to deal with concrete instances in which these have played out, and what I hope is that the calm element that — the workmanlike element that I believe Nawaz Sharif is trying to inject, and I think that is reciprocated from many on the American side, is the way to get past these narratives and, indeed, get past these irritants. Operator, do you have another question on the call, please? OPERATOR: Again, if you’d like to ask a question, press star, one. Our next question comes from Ritika with Ali (ph), Associated Press — Associated Press of Pakistan. QUESTION: Ambassador Munter and Mr. Markey, for the second time today, Prime Minister Nawaz Sharif sought U.S. intervention in resolving the Kashmir dispute, although — even though there was already a polite no from the United States and a complete rejection from India, he still laid this proposal in his speech to the U.S. Peace Institute. Do you see any merit to this call? Is America in a position to resolve — help settle this dispute? MCMAHON: Ambassador Munter, you want to kick off? MUNTER: Sure. I was — I attended that speech this morning, and my understanding of the approach that I think Mr. Nawaz Sharif was talking about — that I think is a very constructive approach — is to deal with a number of issues in the India-Pakistan relationship, up and including Kashmir. Everything is on the table, but not necessarily looking to try to make this as the — the litmus test of the relationship. And I think that what is — what is laudable about what has happened, despite the violence that’s taken place over the line of control in recent days, what’s laudable about the relationship is that, in fact, very quietly and very — and very systematically — the Indians and the Pakistanis have begun to talk about things such as trade, visa regimes, borders, those kinds of things, and it would be in my opinion very healthy for them not only to talk about things across the border, but to talk about other interests they have in common. What do India and Pakistan think will happen in Afghanistan in 2014? And how can that be managed in such a way that the India-Pakistan situation — that their relationship would not be more troubled by what happens, rather than less? In other words, Kashmir is an important issue. It’s one of many issues that is unresolved between Pakistan and India. It’s good for it to be on the table with the other elements where they can make progress. America, in my opinion, is always willing to back up their initiatives. But it is up to the Pakistanis and the Indians to define how they choose to do it and with the support of America and other friends of both countries. I think they can make a lot of progress. MCMAHON: Dan, on Kashmir, anything to add? MARKEY: Yeah. In answer to just, is it constructive for the prime minister, Nawaz Sharif, to raise this in Washington, my short answer would be, no, I don’t think it’s especially constructive. I do think that it’s politically expedient, that is, it’s important for him to show his countrymen that Kashmir has not disappeared from the agenda and that he will raise it in international fora, including with the United States. However, I think that there’s a very strong and probably durable consensus in Washington that Kashmir is not an area where the United States wants to wade in deeply. Ambassador Munter is right. The United States is certainly willing to help with any kind of initiative that India and Pakistan would pursue on their own, but it doesn’t want to pursue a role as a mediator, it doesn’t want to make itself a third-party to any kind of discussion. And, frankly, it — you know, I think that the prime minister would be wrong to think that if the United States were to engage in that role, that he would have a strong American partner. That is, I think historically Pakistanis have seen the Americans have been more or less on their side on the Kashmir issue, or have believed that. I think in recent years, the United States sees this really not as an issue where it would take Pakistan’s side, but as an issue where it would prefer that India and Pakistan resolve it on their own. And that’s not going to change, regardless of what Nawaz Sharif suggests to the White House. OPERATOR: Our next question comes from Mala Alarain (ph) with Al Jazeera English. MCMAHON: Yes, please. Go ahead? I think they might have dropped off the call. Operator, is there another question, please? MCMAHON: Oh, I’m sorry. We do have the caller. Can you please go ahead with your question? QUESTION: Sure. Thank you so much for your insights. My question is, what do you think is the role of civilian casualties from drone attacks and increasing anti-American sentiment in Pakistan and even increasing radicalization and support for some of the militant groups he’s been discussing? MCMAHON: OK. Ambassador Munter, we’re back on the drone question again. Did you want to take a little stab at this one? MUNTER: Sure, I’m happy to. Look, I think that the way that the question has been stated is a little bit brash, and I would put it more in this sense. There is a public debate about this. People are trying to get to the facts, and they’re trying to find out what exactly has happened when you read the reports that are in the newspapers. People are interested in what — how would the drone — has the drone campaign worked? What have been the civilian casualties, et cetera? But I think in the broader sense, the way in which this issue must be addressed is in the broader context of the war on terror and the work that both sides are doing to try to find where common ground is. The way it’s been handled up until now hasn’t allowed us to come to that consensus. It’s emphasized, rather, the problems about uncertainty about drone warfare, about the difficulties we’ve had in agreeing on targets, these kinds of issues. I think that the — and this has led to dissatisfaction on both sides. But I think that the whole point about coming to a — a more mature discussion between our two countries about the fight against terrorism, acknowledging that this is the greatest threat to the stability of a country that’s very important to the United States, is the healthy way in which we can build a better understanding, both in private and in public, about how you fight terrorism and what the tools are that you use in the best way to make that happen. When that’s not done skillfully, yes, you run into civilian dissatisfaction and anger about the way things are being handled. MCMAHON: Dan, anything to add at this point? MARKEY: Not too much, but I would just say, civilian casualties is certainly one of the hot-button issues in Pakistani politics. Look to Imran Khan as the individual who has sort of profited most politically by seizing upon this issue. It’s instructive that Prime Minister Nawaz Sharif, while he has certainly raised the drone issue, has not been as eager to push that particular agenda. And civilian casualties is one piece of it, the other being the violation of Pakistan’s territorial sovereignty. Together, they create a potent reason for opposition to the United States’ continued use of that tactic, but they don’t resolve the problem of how to address the very real threat that is international terrorism based inside of Pakistan’s territory along the Afghan border. And that leaves the United States with — in a tough bind. So politically dangerous and difficult, and that’s why we need these kind of conversations, but it doesn’t in and of itself resolve the conundrum, the reason why we got into using drones in the first place. MCMAHON: Dan, I wanted to follow on that and just ask a little bit about — maybe Ambassador Munter could also join in — on the ability of the Pakistani state to express — to control this region, which has been often called the Pakistani badlands in its west and northwest area. To what extent is there Pakistani control there? And what — what can you say about sort of the general situation on the ground? MARKEY: Well, this is Dan Markey. I would just say, I think there was a very useful report in the New York Times that ran today describing the state of affairs in Miranshah, north Waziristan, and the discussion was basically — the depiction of it was a heavy Taliban control in that town, and while there is a military presence nearby, it is not a military presence that actually, you know, holds the capacity to really get out and patrol and to bring order to that place. And one of the — one of the places that I’ve had a chance to visit several years ago in Bajaur agency, also in the Pakistani tribal belt, in Khar, the district headquarters, was an area which had been several months before I got there cleared of Taliban presence, but up until that point had seen Pakistani state security forces, Frontier Corps, sort of living very much walled in their compound and surrounded by heavy Taliban presence. And so that’s not the extent — extending, really, the writ of the state. And unfortunately, that’s — that’s still the reality in important parts of that tribal belt. MCMAHON: Yeah, Ambassador Munter, anything to add? MUNTER: Yeah, I would just add that, you know, the issue about sovereignty is a very touchy one and one that really goes to the heart of Pakistan and the confidence that Pakistan’s leaders and its people have about their own legitimacy and their own viability. But I would say this question that Dan Markey has raised is, extending the writ of the laws of your country throughout the territory of that country is in many ways the definition of sovereignty. 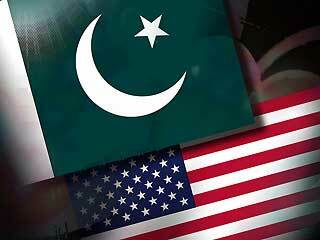 America is in that sense, I think, a great supporter of Pakistani sovereignty. We want to see the Pakistani army, the Pakistani judiciary, those elements of the Pakistani state exercising the power that they should. And if there’s anyone who’s really brazenly going past or breaking the sovereignty of Pakistan, it’s the terrorists who are living openly in Miranshah, and those people are the ones who are demonstrating — as the New York Times article said — that this is a country that really needs to extend the writ of its own power throughout its own country. And I believe and believed during the time that I was ambassador that what America wants to do is nothing more than to see Pakistan exercise that power of its institutions throughout its own country. MCMAHON: Thank you. I think we have time to take one more question. Operator, do we have another question on the line, please? OPERATOR: There are no more questions at this time. MCMAHON: All right, well, thank you. I would like to conclude this CFR on-the-record media call at this point. We’ve been extremely fortunate to have Cameron Munter, the former U.S. ambassador to Pakistan, and Daniel Markey, CFR’s senior fellow for India, Pakistan and South Asia, helping to kind of walk us through the visit of Pakistani Prime Minister Nawaz Sharif to Washington and talk about the significance of the visit and of U.S.-Pakistan relations. Again, this is a CFR on-the-record media call. We’re concluding at this time. And thanks — thanks to all of you for being on the line.